Built in 1960 at the Coventry factory. The steel body was built by Park-Ward coachworks following a production design by Graber of Switzerland. 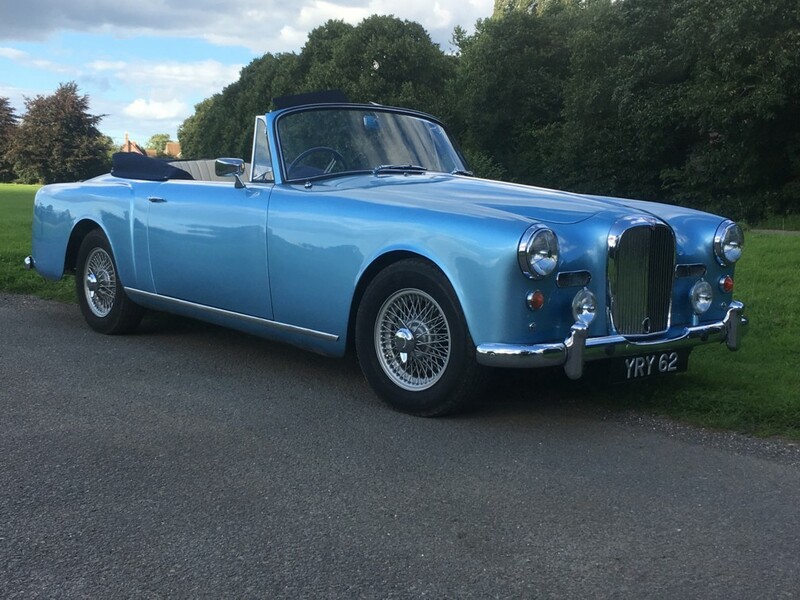 It features an Alvis 3 litre straight six engine and 5 speed ZF gearbox. It can seat 5 in comfort. Its first outing was at Carfest South were it was extremely busy ! Alvis stopped making cars in 1967 to concentrate on military vehicles.